I LOVE these capris! The Dri-FIT fabric is amazing, the flat seems are comfortable, and the back zip pocket is convenient. But, it's really all about that waist! The mid-rise is perfect and the wide waistband with a drawstring stays in place! I also have the Nike 8" Epic Run shorts, and they are just as awesome. 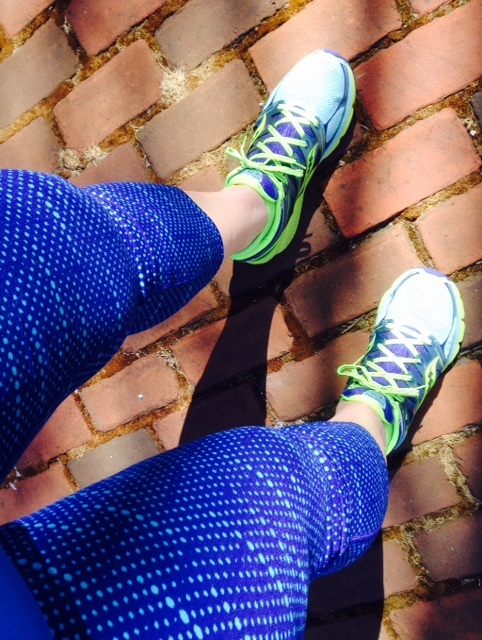 The dot print on these capris makes these as fun as they are comfortable. And lucky me... I can also wear them to work!